Rhubarb Simple Syrup is perfect for adding to your summer drinks and desserts! Rhubarb is plentiful this time of year. From farmers markets to gardens, rhubarb can easily be found this time of year. I look forward to the start of rhubarb season every year. I just can’t get enough of it. I am always looking for new ways to use rhubarb. 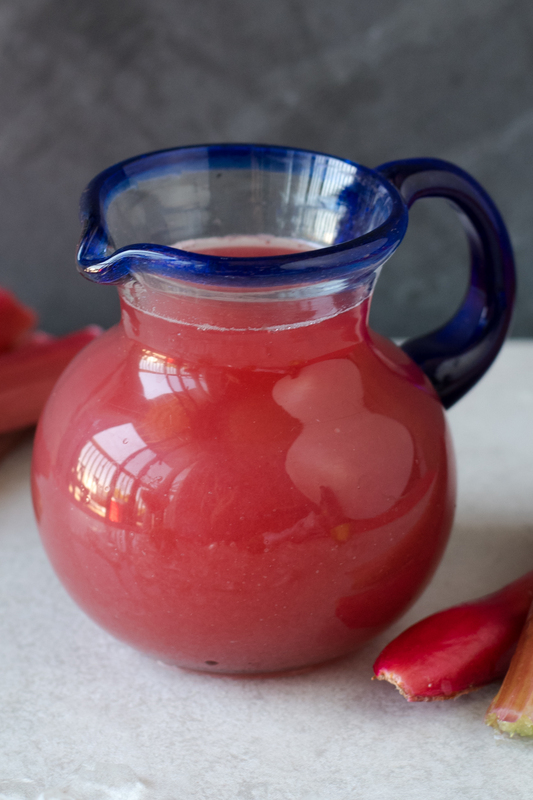 One of my absolute favorite recipes for rhubarb is a rhubarb simple syrup. 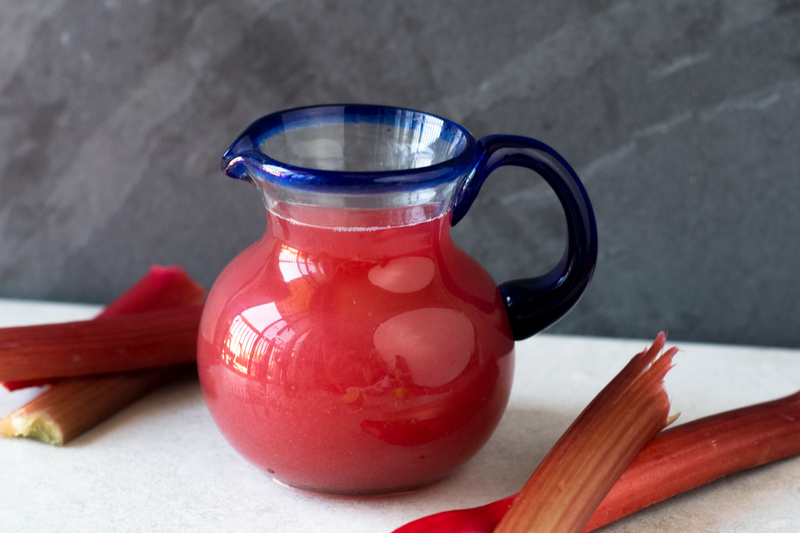 This Rhubarb Simply Syrup is so versatile. It can be used in so many different ways. Plus, it’s so easy to make and only requires three ingredients! The color of the syrup will depend on the color of the rhubarb. For a vibrant pink simple syrup, look for vibrant pink rhubarb stalks. Rhubarb Simple Syrup is the perfect addition to your summer cocktails, lemonade, and desserts. The options are really endless! One of my favorite recipes using the Rhubarb Simple Syrup is in my Rhubarb Beer Margaritas! 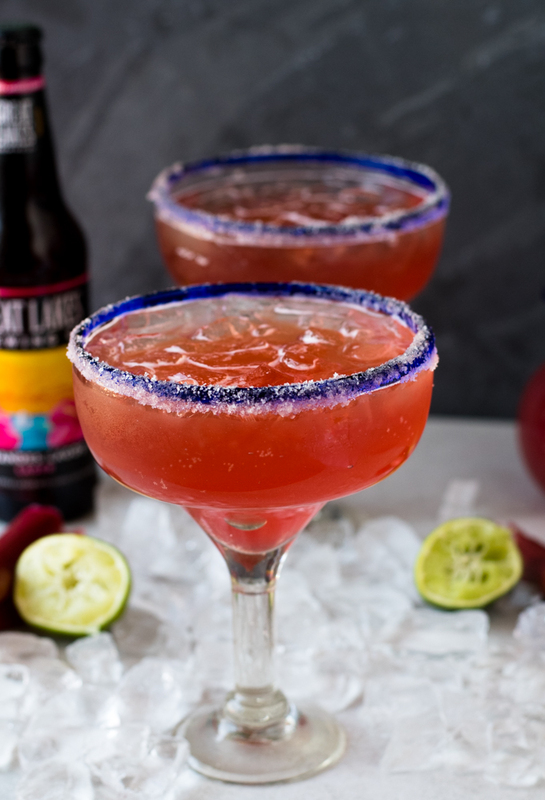 This margarita is perfect for summertime! It’s light, refreshing and so flavorful from the rhubarb syrup! 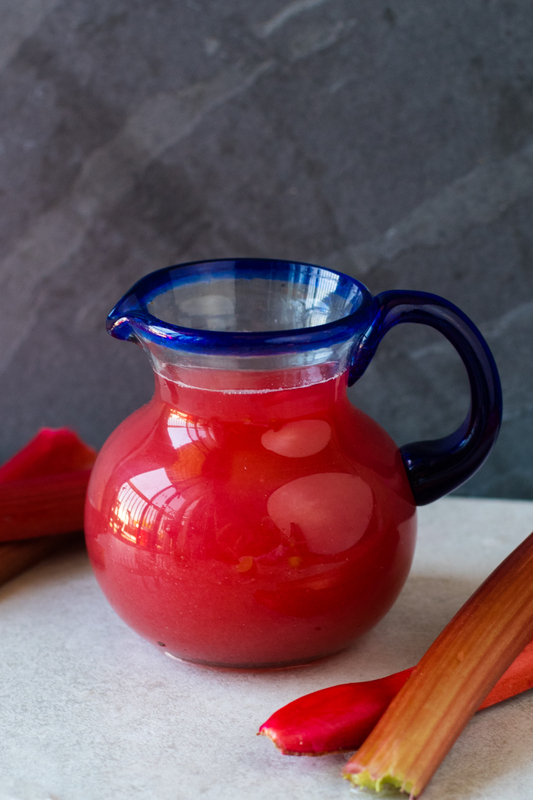 This Rhubarb Simple Syrup is so easy to make! It is perfect for summer drinks, lemonade and desserts! Plus, only 3 ingredients are required! In a heavy pot or dutch oven, add the rhubarb, sugar and water. Bring to a boil over medium high heat. Once boiling, reduce heat to low, Cook until the rhubarb is soft, about 20-25 minutes. Use a fine mesh sieve to strain the mixture into a bowl, using the back of a spoon to press out all the liquid. Transfer to an airtight container.